Most ‘cross racers don’t have the luxury of component sponsors, don’t receive new bikes or new drivetrains each year, and lack pit crews to clean their bikes every lap. So, they need to select parts that will perform, be reliable under all conditions, are lightweight and affordable, and hopefully last many seasons. What the hell? These two aren’t supposed to work, you say? Don’t believe the companies or the brand loyalists. As long as 8 or 9 speeds 8,9, or 10 speeds in the back is enough for you, they work great, and the combination also allows you to save some money if you’re buying individual parts as well as some precious grams you’ll appreciate when lifting your bike for the 23rd time. It’s lighter. Campy shifters are lighter than Shimano shifters, about 90-130 grams lighter than their Shimano equivalents. It’s cheaper. Campy shifters are cheaper than their Shimano equivalents. Yet Shimano derailleurs are cheaper than their Campy equivalents. And Shimano-compatible wheels are cheaper, or more readily available, either from another bike, a local bike shop, or the local swap. We’re not rollin’ in it and need burrito and beer money. Priorities, right? It’s more reliable. Okay, this might be subjective. But we’ve had many an STI-lever give out, with weak springs or broken springs or from a crash, and much fewer problems with Campagnolo Ergopower. And we can rest easy knowing Ergopowers are easily repairable and parts are readily available. STI repairs, on the other hand, have been known to end a race season or even a marriage. 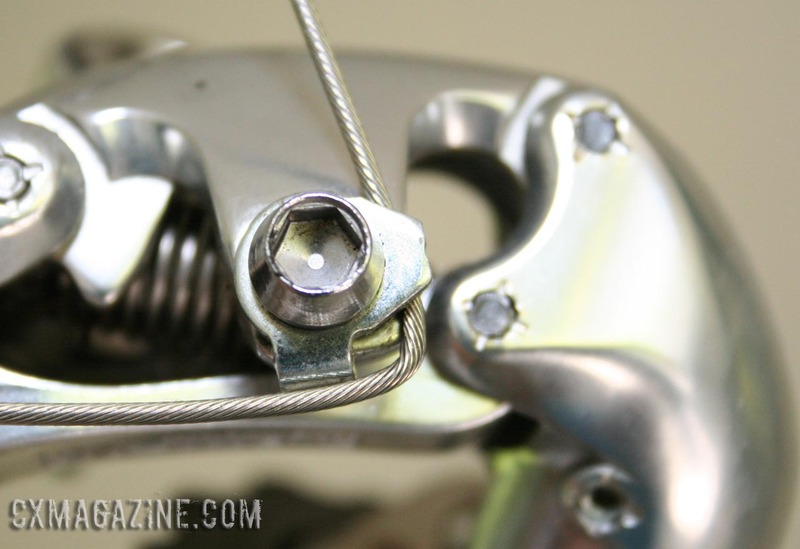 Does it matter what Shimano rear derailleur you use? Not really. There’s no such thing as a Shimano 7, 8, 9, or 10-speed rear derailleur. As long as you avoid pre-9-speed Dura Ace rear derailleurs, everything will work great. What’s the downside? There are two potential downsides we can think of. The first is that many people, especially those with larger hands, prefer the longer Shimano STI lever bodies, especially the newer 10-speed models. These longer levers are also easier to point up, creating a large surface to push against and a position similar to mountain bike bar ends. [Ed. note, this is a moot point with the larger Ultrashift-shaped Ergopower hoods]. The second drawback for some is that it’s harder for some people to upshift during a sprint from the drops. This often depends on the exact positioning of the levers, as pointing them upwards makes it harder for those with shorter fingers to reach the upshift button. If this might be an issue, get a back copy of Issue 9 in print or digital format right away, and learn about our solution for this problem. Want to try this setup but don’t want to lose a gear or clamp your cable differently? You can either buy re-spaced cassettes or use a little pulley from Jtek Engineering. Save Weight and Money…Mix and Match! *Your results may vary. Weights and prices for 10-speed parts as seen in major catalogs in Fall 2007. Front derailleurs vary less in price and weight between the two brands. We’ve used Ergopower with Shimano front derailleurs with success, but a Campagnolo front with Ergopower shifters is ideal. You’ll need a 9-speed Shimano-compatible cassette to complete the package, which can also save weight over 10-speed cassettes. Update: This article was originally published for our Issue #1! Since then some of the Cyclocross Magazine team has experimented and successfully adapted Campagnolo 11-speed shifters to Shimano high-normal and low-normal rear derailleurs and Shimano and SRAM 10-speed cassettes. Our favorite is the Ultra Shift models (Super Record, Record, Chorus, and older Athena) of Campagnolo 11-speed shifters with a Shimano pre-Dynasys GS (medium) cage XTR, Deore XT or Deore LX Rapid Rise (low normal) rear derailleur. Got all that? That combo results in the fastest cyclocross downshifts, with multiple gear shifts at once possible. 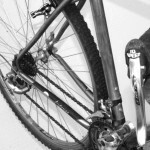 See these images for how to clamp the cable on Rapid Rise derailleurs. For a different take on mix-and-match, one could pair Campagnolo Ergopower shifters with the 2013 Shimano-compatible Retroshift BURD rear derailleur. Previous post Do You See Nine Speeds in Color? Yup! any campy 10 speed will work great with any Shimano rear derailleur from the index era except as noted, 8 speed Dura Ace rear derailleur. So…i assume the new shimano 105 (5600) derailleurs, a tiagra 9 speed cassette and veloce ergopower shifters would work…right? Do you know if this setup would work with the new veloce levers (they don't seem that different to the last generation). that will all work great. spacing is all that matters for the shifters – 10 speed is 10 speed regardless of old, escape, or ultra mechanisms. Just a word of caution with the durability of ergo levers. I understand that they may wear better on the long term, although I have found shimano levers to withstand with crashes better. I have seen more than one ergo lever snap upon sideways impacts and I have never seen a shimano lever break in this manner. This is because the shimano lever will rotate inward upon impact, as if they were shifting. I have to admit that all the snapped ergo levers I have seen were with road crashes and not cyclocross. cheers. i shall give it a go. 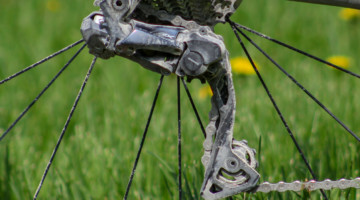 Can you use a campy 10s front Derailleur or does it have to be 9s? with the campy ergopower multi-click shifter, you should be able to use either campy 9 or 10 front derailleurs. This may be a stupid question but does one have to use campy cables with campy ergo levers? Or can I use any high quality cable? Thanks. how about the otherside around, shimano shifters 8speed, shimano cassette and campa derrailers? (8speed) anyone tried that? not a stupid question – doesn't have to be campy shift cables but they do have to be campy-sized ends. they are slightly smaller. Gore and other companies do make compatible cables though. good luck! Johnny, that exact combo won't work unfortunately. 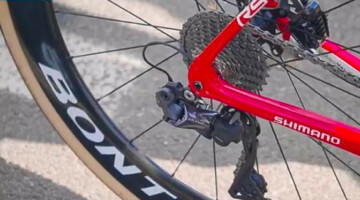 the campy derailleur moves less per cable pull than shimano – so shifting would be off. Will a Campy 10 speed shifter shift an 9 speed non rapid rise XTR rear and 9 speed ultegra front? On a related point, will rapid rise work with Campy—- XTR rapid rise seems to be more readily available these days. the rear derailleur's "speeds" doesn't matter as long as it's not pre 9-speed dura ace. a 7 speed xt derailleur works fine…all the same really. many folks use shimano front derailleurs with campy front shifters…since they've been a micro-ratche (older ones). rapid rise & ergo is great, been testing that for a while…more on that soon! can I use 10 speed campy with shimano rear mech and campy 10 speed block. Will the rear mech work?? unfortunately no, not without a converter. sadly j-tek is out of business now. what about a full campy 10 setup with a shimano 9 chain and cassette? or would the cable clamp modification not work on a campy RD? So, can I use the ergo shifters w/ a shimano r-der, but still use my campy wheel/cassette? the combo (rare) that would work that describes your first query is: 1) 10s ergolevers, 8 speed Shimano Dura-Ace rear derailleur, and 9 speed (new) campy cassettes. How's that for a funky combo? regarding your second question, with an 8 speed veloce lever, you're pretty much out of luck. 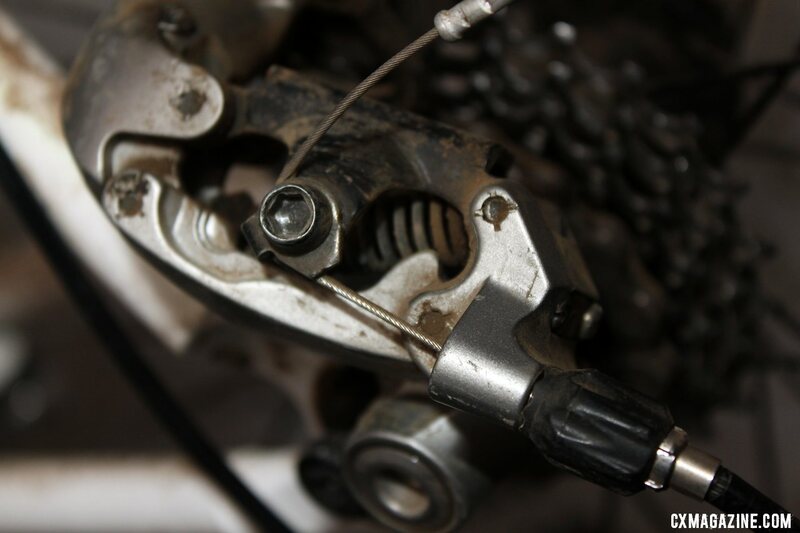 the only thing you could do is clamp the cable on a shimano rear derailleur as pictured, and get it to index well with a shimano 6 speed freewheel/cassette – nothing campy I know of. sorry for the late reply – no can do with a campy rear derailleur. j-tek used to sell a shift-mate that would do that – if you can find one (not made any more). that rear clamp def. the rotated tabbed-washer doesn't work with campy because the bolt clamp is different but I bet there is a way clamp it so that it pulls less. def. worth experimenting! basically, clamp it off to the side, reducing the effective pull. you goal here is to reduce the amount it pulls. a campy 11 shifter and rear derailleur would work great with shimano 9 cassette, btw. So, I'm going to run Campy Centaur 10 speed shifters with a m960 XTR rear derailleur. I've seen some other articles online that suggest changing the orientation of the cable clamps on Shimano rear derailleurs to make the set up work— m960 doesn't have these clamps. Do I need to do anything special when I'm setting up the rear derailleur— cable clamps adjustment or otherwise? you can do this – but the cassette spacing will be wrong. you can get a respaced cssette to make it work. how many speeds? campy will work fine with canti brakes. good luck. Thanks- so if i got you right it would be better to stay with the Shimano rear derailleur in this set-up. I am building it 9 speeds- I realized it is more suitable for Cyclocross. Can I use Campagnolo shifters and derailleurs (front +rear) with Shimano Crank+cassette+chain? What about the Canti levers? OK with the campy? I'm planning to build a centaur 10s/ultrega 9s combo. I was going for a triple ultrega crakset and front derailleur, will that work? What would you suggest as triple front shifter otherwise? Can I use a Campy 9 speed shifter with a Campy 10 speed rear deraileur with a JTek ShiftMate on a Shimano 9 speed cassette? sorry for the late reply. 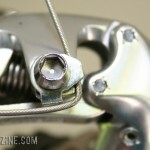 the old style (multi-click) campy shifter will work fine, but you might want a campy front derailleur for better luck. good luck! hi there. is your 9 speed shifter new or old style? does it say 9 speed on it? not sure if the j-tek is designed for new style 9-speed or old style, or both. if it's new style, it should – the cable pull of the new style 9 speed is the same as 10 speed. your other option is if you have a new style 9 speed lever, is to get an old style rear derailleur, and it'll work perfectly on shimano 9, surprisingly. good luck. how about campy ergo shifter, campy derailleurs and shimano cassette? what has to be done to have that shift well? you can either do a re-spaced cassette (wheels manufacturing makes one: http://wheelsmfg.com/content/view/527/40/ ) depending on what speeds you need, or the j-tek shiftmate – those guys are back and running. You'd need #1: http://jtekengineering.com/shiftmate.htm tell them cxm sent you if you buy either (they are not advertisers). If you're into hacking, you could just re-configure how you clamp your cable. A little high school geometry will get you the approximate change in angle you need so you have less pull per shift. Good luck. Post back on what you end up doing. Has anyone tried using Campy 11 shifters with either shimano 7900/6700 or sram force? I know j-tek shiftmate will work, but was hoping for feedback. hey vince – haven't been able to afford campy 11 but with the "alternate" cable clamp you should be able to get them to run shimano 10, I suspect. j-tek, fyi, isn't ideal for anything SRAM since the cable pull for SRAM is uniform. more on that in issue 9! Great…Can't wait for Issue 9…Just subscribed to your great mag a few days ago…Keep up the great job!!! Can you tell us more on regarding the "rapid rise & ergo is great, been testing that for a while…more on that soon!" Was wondering the setup you used that was great? Do you use a Shiftmate? 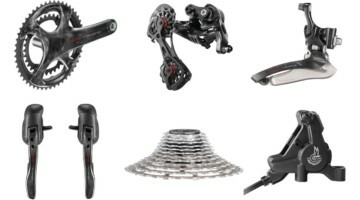 Will the new 10 speed Ultegra 6703 shifters/brake levers work with a shimano xtr rear derailleur? As much as I have tried to stay "Campy only" to keep things simple, I find myself with a lot of Shimano stuff creeping into my quiver. What components and tools would I need to make my rear wheels work with both Campy and Shimano cassettes? I have mostly Mavic wheels with 10spd in both standards. hey vince, check out issue 9 – should be out soon! Dumbest question yet..What Crank set up can be used with these combination's. 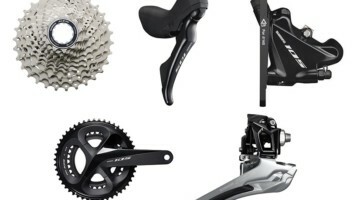 Shimano / Campy/ Sram? I have a Dura Ace 9 speed crank that I'm wondering if I can use along with my current chain. I'm just assuming since it's not been discussed it's possibly a moot point. Thanks for posting this information. I kinda dig the idea of mixing components. It gives the brand loyalist yet another issue to raise an eyebrow at…all in good fun! jim, not sure i understand your question – but you want your rear wheels to work with either campy or shimano shifters and derailleurs? if the derailleur and shifter are same brand, then you just need a respaced cassette OR a cable pull adjuster (jtek) to get the different brand of cassette to work with shift/derailleur combo. alternatively, if you found an older campy rear with new campy shifters you can work well with shimano 10s cassettes. shimano/shimano won't pull enough cable for a campy cassette. if that's not what you were asking, post back, we'll do our best to help. no question is dumb… you should be able to use any crankset, but 9 or 10 speed rings are helpful if using 9 speeds in the back and a 9 speed chain. your DA crank will work great. shifting might be best with 9 speeds in the back (with alternative clamp), 9 speed chain, and your existing 9 speed rings but rings made for 8 or 10s will be fine as well. Word. I know this is a fairly old thread yet I'm glad I stumbled upon it. Wish I could return the kind help, you guys cleared up a slew of questions I'm sure a lot of us had for years. If any of you cats need advice on your Selmer Mark VI, R13 or any other woodwind instrument I'm your man…I owe you one. Cheers! i currently have a full campy record 10 sp group (double in the front). i want to downgrade to a 9 speed for a thicker chain, less maintenance, and cheaper repairs. if i go with a shimano rear derailleur and cassette, i'm assuming i will also have to switch to a shimano crank and chain as well. this is fine, I just want to do what's bests for long term trouble free use. let me know if i've got this right. thanks! you should be fine with a 9 speed chain on the campy 10 crankset. I'd go with a sram/shimano chain though. you can keep your campy front mech too. for a Shimergo set up using a mtb drivetrain, will 10speed Chorus or Record shifters (not bar end) work with a 9speed Shimano XT triple crankset and XT Front Derailleur? You should have fine luck with this setup as long as you: 1) use the alternative cable clamp on your rear mech, and 2) your front shifter has the multi-click option. obviously you'd want a shimano or sram rear cassette. Does anyone know if Campy Record 10 levers will work with an old Dura-Ace 8 rear derailler? they certainly will work, but will only give you 5/6 speed index spacing. i _think_ if you try an alternative cable clamp, it'll get you up to 8 speed shifting but that's it. if you went campy 11, you'd get 8 speeds with the normal clamp. good luck! Will campag mirage shifters work with 9 speed sora derailleurs and a 9 speed tiagra cassette? I have the Shimano 105 5603 group (triple). I crashed and damaged the left shifter. I would like to go to Campy shifers because I understand replacement parts are available. Can you tell me which, if any, Campy shifters are compatible with the 105 deraileurs and thriple crank and cassett. ken, find yourself an older left that's pre qs and it'll work great. sorry, we're not 100% sure which models and years that includes…but with some searching you can probably decipher all the changes. the years with the right-side escape mechanism probably are the years to avoid as the left was probably not the microshift. all 10-speed stuff should work okay – you might wanna play with your front mech though. i know 11s stuff has given ppl fits with triples…but newer 10s left levers have worked, but better with campy front mechs. I recently installed Chorus 10s ergo levers on my 2005 Fuji Cross Pro with a 9s Dura-Ace rear derailleur. I used the 90 degree cable attachment as described above, and I love it. However, I am having some problems with the chain skip/jump (not autoshift) while using the 2 or 3 large cogs while under extreme pressure ascending sharp, steep climbs. I had the hanger checked and found to be straight, and neither the chain nor cogs are excessively worn. On the stand, it shifts beautifully, but the LBS wrench felt the cable was loose on the way up and tight on the way down the cassette. I weigh 185 lbs and consider myself a power rider. What suggestions might you have? Could frame flex account for this problem? thanks to all for this thread, it's heartening me as i'm trying to figure out if i've just blown some $$ on these campy levers to do a shimergo thing. can i ask if this set up is a workable one? DA 7700 double, campy record 10 speed ergo, shimano 600 8-speed rear der, shimano 600 8-speed cassette. that's good as is….right? i've been suddenly worrying that i'll need to do the hubbub/9-speed thing, but would prefer not to. did you get it to work? should have worked perfectly! so, my 6 speed 7400 dura ace derailleur wouldnt work? bummer. any workaround for this? btw, sorry for the late response but your 7400 should work fine with a campy 11 shifter running 8 speed in the rear. not sure if you want to spring for that shifter though. can i use shimano 105 shifters with both shimano front and rear derailleur with campagnolo cassette and crank? this is a tough combo. your best bet, assuming shimano 10s derailleurs and shifters, is a campy 11s cassette and not using one gear. it's not a great match but shoudl work fine with campagnolo 11speed cassette, chain, crankset. Are SRAM Double tap mix and match options covered in issue 9? 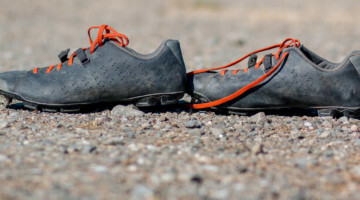 I stumbled across this (excellent) article and would love to have more info on this topic, especially regarding use of SRAM 10 speed with Shimano 7 and 8 speed (Zinn’s statements make the SRAM 10-Shimano 8 sound workable, but offer no certainty; would give me great upgrade options), but I haven’t done any cyclocross and don’t know if it would be worth it (for me) to subscribe. If issue 9 includes the info I’m after I’d be glad to buy the issue and see how much interest I have in the magazine (and maybe it will help me decide if I want to spend the time/money/energy to try the sport). Hi Adrian, we do talk about Campy/SRAM compatibility, and do address Zinn's comments about that working. We don't address any SRAM/Shimano compatibility. The real challenge (which we address in the article too) is that Campy/Shimano don't pull an even amount of cable per shift – it varies across the range. SRAM does. That's problematic for compatibility, but we do believe that people still do it anyway – it just depends on your tolerance for less than ideal shifting or perfect alignment. We also cover things like Campy 11, Rapid Rise what just might be the closest thing to a poor man's electronic shifting. We've got a few back copies of issue 9 left – I think you will enjoy the mag. That was our last mostly b/w issue. Now we're in full color. If you enjoy in-depth interviews and profiles, technical features, objective reviews, travel stories, and a bit of Myth Busters-type research you'll probably like the mag. If you want a frequent mag that's filled with mostly ads and only features the top riders, you will not like CXM. And who knows, it could save you money with some of the tips and pay for itself. And if you get your subscription in super soon, you'll get issue 12 at our bulk mailing rates. I hadn’t seen it mentioned recently, but JTek is indeed back, so buy their stuff! Those shiftmates, while not the cheapest solution, work VERY WELL. I’ve been a mechanic for about 6 years now, and I recommend them highly (no, I don’t work for them and never have, but they make solid products). Sorry for the late reply, but we do have some SRAM mix and match topics covered in the issue. We haven’t had much luck with the SRAM/Campy or SRAM/Shimano because Campagnolo and Shimano pull different amounts of cable per shift while SRAM does not. We also tested a DaVinci modified SRAM mtb derailleur, and we spent a lot of time with RapidRise and road shifters. Issue 9 can now be added directly to the cart here: https://cxmagazine.com/subscribe Cheers. Hi Guys, a little late on this topic but this may get me out of a costly upgrade! can anybody tell me if the following combo will work? @plinkypete We can’t comment on the front shifting – but the rear should work with the alternative cable clamp. Good luck! If your front shifter has many clicks, you probably can get it to work, but a front mech is pretty affordable too. Good luck! I got the Jtek converter #2 to fit my 2011 10speed Campagnolo Centaur. I wanted the regular cable routing as it seems more solid. Works with Shimano 9 speed 12/25, Ultegra rear derailleur. Front shifting is excellent (better than with original Ultegra shifter!). No complain. New cables (Jagwire). All is groovy! I have 8 spd Campy ergo’s and a Shimano 105 rear derailleur. Would this setup work with an 8 spd Shimano cassette? @TroyEdige no, not without an adapter or a re-spaced cassette (and likely using only 7 speeds). it’d probably work on 6 speeds though! you’d have better luck with a campy rear derailleur, which will be closer. @cyclocross Hey, thanks for the reply. I actually found this http://www.ctc.org.uk/desktopdefault.aspx?tabid=3946 which has heaps of useful information and all the tables you need to check all sorts of shifter/drivetrain combinations and compatibility. @DarylPickering Daryl, it should work fine – assuming you’re using 10 speed Veloce for everything else? i have a 9 speed Shimano Sora rear derailleur and a 9 speed Shimano Tiagra front derailleur. For the cassette i have a 9 speed shimano tiagra. and 9 speed chain. currently have a double crankset. @Rich240 also i forgot to include that my 9 speed tiagra cassette is 12/25. If that makes any difference. 1) there’s no such thing as a 9 speed rear derailleur. with the exception of 8 speed Dura-Ace and 10 speed mountain rear derailleurs, all will work fine across 6-10 speed index systems. 2) Those levers will work fine with the “alternative” cable clamp that loops around the tab and reduces movement per shift. So take a careful look at the picture and clamp the cable like that and it’ll work great. If you want to run an 8-speed cassette (8 speed chain will help too), you won’t have to change your cable clamp at all. Shimano Sora 9-speed Road Bicycle Rear Derailleur – RD-3400. so if i do the alternative cable clamp, like how much inches should i leave extra slack? @Rich240 it doesn’t really require more cable and you never really want slack once it’s clamped. but note that campagnolo shifters use a smaller cable end than shimano, so you’ll need to change your cable anyway. maybe your housing too if you have 5mm housing, as some newer levers expect 4mm housing to fit into the lever. good luck! @cyclocross ok, but theres still one mind keeps itching. Will i be able to use every single gear,on my 9 speed cassette? or will one or two gears? hi, i have did the alternativecable routing for the rear mech, and works perfect, but now i have problem with the front shimano derailluer rubbing on the big chainring, and the campy veloce doesnt have anymore trim clicks to eliminate rubbing. Also to note that, the high limiter screw is maxed out. @Johncx it will work fine if the rear derailleur is pre dynasys and you clamp the cable using the alternative clamping style. So how old or what year is ‘ pre dynasys’? I’m not familiar with it. 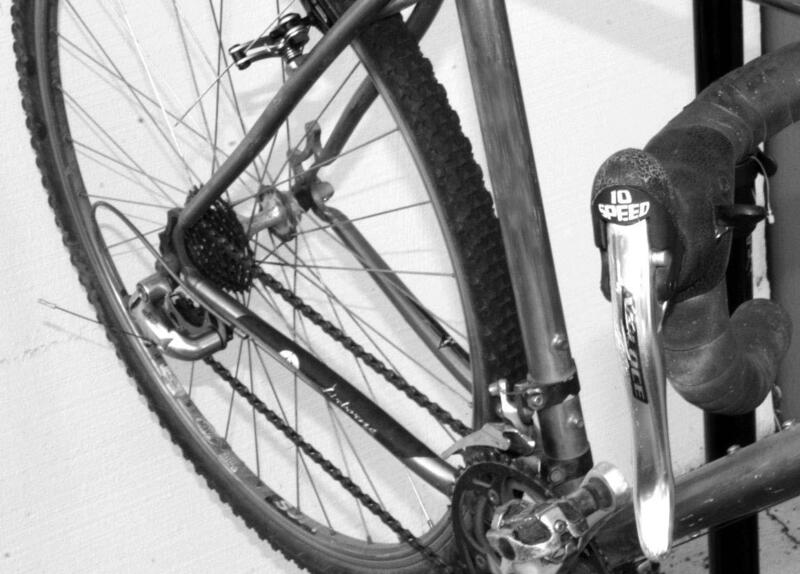 @Johncx @cyclocross http://www.dynasystech.com/ It’s basically 10-speed Shimano mtb stuff. cyclocross 🙂 didn’t realise you were using 9spd cassette. Missed that article previously – excellent stuff! vdubber67 we’ve done campy 11 ergopower with 10s shimano/sram rear too. but running 11 in the rear takes a different config. Slowly collecting parts to upgrade the drivetrain on a vintage Fuji. I think I understand all of this and have components that work together. My question: Using 10spd Campy shifters and an 8spd Shimano cassette, what happens with the extra two clicks on the shifters? Do I just remember not to shift beyond 8 clicks? Or will it only click 8 times due to limits on the derailleur? Had a tiagra 4500 (9s) groupset om my road bike and got (really) tired of the shifters. Moreover, I’ve been used to have a campagnolo Mirage groupset on my first road bike. Great compatibility on the brakes too (Tiagra 4500 as well). 187 and 189 grams for campy vs 255 and 248g for tiagra 4500. It will be limited by the derrailleur’s mvt, nothing to think about! Guiguy Great, thanks! That’s what I figured. Installing the cables tomorrow on my new setup. Can’t wait to take my ’84 Fuji for a spin with the Ergo shifters and 8 speeds in the back! Breathing new life into this great bike. 1) “older” Athena means any Athena with Ultrashift? 3) Are you using the RapidRise 9 speeds for 10 speed cassettes? It sounds as though you are because the derailleur has the travel required and the index is in the shifter. I’ve rcently bought a road bike that came with a veloce 9 speed lever and a shimano sora rear derailleur. Doesn’t work that well. How can i without spending many money, put this to a better work? Is there another brand (cheaper) compatible with the campy levers? I try to use an old Campagnolo 9speed Eddy merxck that I saved from the bin. I’ll use it for commuting. My problem is that the front derailleur is broken and I can’t find a replacement. It’s a 2×9 speed with braze on. The biggest cog is 53t. Do you have any idea for what to use?